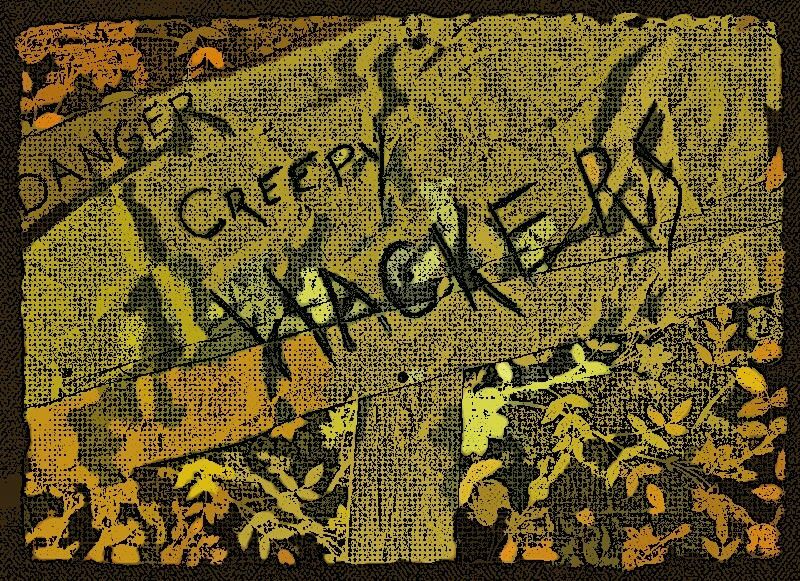 I originally intended to post something in honor of Halloween today, but due to this morning’s event here at home I decided to discuss something truly frightening—Internet hackers! That’s right, we got hacked… Actually, my partner was “hacked,” so far my computer is okay. A few weeks ago my partner decided to start his own business. Like most people he is starting out with limited funds so he decided to create his website via one of those places that offers free sites complete with hosting, shopping cart, etc. for online stores. He boasted that he could see his visitors’ IP addresses and even the types of computer systems they had. I remember saying something like, “if you can see them, then someone can see you” which, of course, did not translate into “guy speak” and was therefore dismissed. This morning his Webroot Internet Security software sent him an alert regarding malware; someone had broken through the firewall, changed his security filter to “allow,” and received free access to all his files. What’s really scary is that he can’t reset his own system; he performed a “system restore” to an earlier time but it did not help—the hacker has apparently appointed a sentinel (probably a Trojan virus). My partner’s only option is to wipe his drive and reinstall his entire system. A hassle? Yes! But even worse—what files did the hacker peruse or download if any? Banking information? The password vault? Nightmarish! Your computer, your router, and just about everything has a password—use them. I heard that most people never change the default passwords in their systems. If you’ve left your password at “Admin”—change it today! While we’re on the topic of passwords, please don’t use the same password for everything. You can bet that once the hacker learns a magic word it will be the first word he tries at the next locked door. Don’t leave your Internet at idle for long periods of time, this allows time for hackers to be mischievous. If you are going to be away from the computer for any length of time shut down your system, disconnect your internet, or run a program such as a virus scan. I highly recommend having multiple firewalls and multiple anti spyware/virus software systems—what one system doesn’t catch the next one probably will. On my PC I have Webroot Internet Security Complete, ThreatFire, and Ad-Aware. (Ad-Aware and ThreatFire have free versions available for download.) There are many anti-virus and anti-spyware packages available though so find one that suits your needs and is compatible with your system. Always have a current back-up of your entire system just-in-case. I back-up to an external hard drive with Acronis, some people prefer online back-up plans like Carbonite. If you end up in a situation like my friend—having to wipe the entire drive—you will be thankful to have one. The Internet is a wonderful tool—a gateway into new places. Stay alert and practice a routine cleansing ritual and you will be safe from those creepy, lurking hackers. A potential client phoned the other day. I was excited when she told me she had several hundred pages for me to edit. We started to do the new-client dance and she was forthright about asking how much would I charge for editing her work. My response: it depends on your work and how much editing your writing may need or how much you want. Unfortunately, she seemed to become frustrated as the conversation continued. The problem? She knew that she wanted the draft edited quickly, but she didn't know what she wanted from me, the editor. Because I wasn't familiar with her writing, I wasn't able to propose what her writing needed. She knew she wanted to hire an editor. Before we ended the discussion, I asked her to forward me several pages of her work so I could read her writing and then we could discuss what I could do for her. That was four days ago and I'm still waiting. Know your writing. When you write, what areas do you avoid writing--dialogue? description? These clues suggest areas that might be considered weak in a draft. If you know what areas you may show some weaknesses, re-read those areas and determine if, indeed, those are areas that need work. If you suggest areas you don't feel comfortable with, your editor could help your writing by focusing and giving feedback on those areas. Know your timeline. If you need the edits back in a week, there may be enough time to respect your request. But your editor won't be able to answer the turn-around question before she has had a chance to look at (in the very least) a sample of the manuscript...if not the entire manuscript. She also needs to have an idea of the level of edit you need. Suggest what level of edit you are considering. When you bring a car to a mechanic, you have some idea what issue you would like addressed. (Substitute "mechanic" with dentist, grocer, lawyer, heart surgeon, counselor and so forth and you can see that if you consult a professional, you know why you are there.) If you're not sure, but know you need an editor from what readers mentioned, let the editor know. Have they provided comments? If so, are they commenting on problems of plot structure or punctuation problems? Do you know your weaknesses? Is this the fifth time someone has reviewed it or is is the first time the manuscript has been touched by other hands. Do you have a budget? Have you asked for a proposal? My mechanic repairs items we've discussed and he gives me an estimate before he starts the work. He consults me before making any additional (read: more expensive repairs). Discuss dollar amounts upfront with your potential editor and ask for an estimate that spells out the work agreed upon. One client explained that she knew that her piece had other issues, but she only wanted me to address the punctuation and grammar issues.While I made a couple suggestions outside of that realm, I only charged for the work for which I estimated (punctuation and grammar). Can you think of other tips writers (and editors) should be aware of when entering into their working relationship? What has worked for you--as an editor or writer? 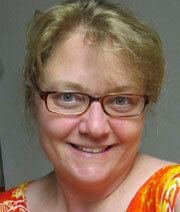 Elizabeth King Humphrey is a writer and editor living in North Carolina. In November, while folks are blazing through NaNoWriMo, Elizabeth will be completing her editing certification with the University of Chicago, Graham School. When my daughter, Jaimie, started Grade One, she struggled in many areas. In addition to her sensory issues, she also dealt with praxis issues (which means she wasn't able to learn or follow tasks that had too many steps); she would often get 'stuck' on a specific way of doing a task and not understand how to branch out or learn it in a new way; and she struggled with verbal instruction. You can imagine how frustrating learning could be for her when she had all of these hurdles in her way. With the help of an awesome occupational therapist (OT) and an amazing bunch of teachers, we learned tools best-suited to Jaimie's needs that have helped her bloom and grow. One of these tools was a 'Word Flower', which not only helped Jaimie with learning words and writing but also helped me with my writing! And I thought it would be something that could help all of you too. This is is a tool that taps into visual learning, gets you branching out beyond your regular line of thinking and really gets those thinking juices flowing. I'm sure many of you have heard of different ways of doing this but I loved the concept Jaimie's teacher used. See the flowers above? Think of an everyday word you use frequently (eg: sad) and write it in the middle. Then think of five other ways to say that word. 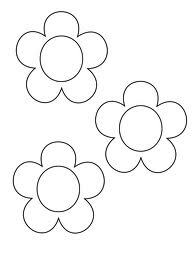 For example, Jaimie came up with glum, sorrowful, down-in-the-dumps, unhappy and downcast for her Word Flower for 'sad'. It sounds pretty basic but, you know what? As a writer, I've found this tool useful and I write the words I come up with for my own personal thesaurus I keep beside my computer. And as an editor, it gives me a way to help an author using a specific word way too much to branch out. Another great writing strategy is creating 'Word Choice Lists'. Jaimie's teacher created a table with headings like 'Speech Words', 'Movements' and 'Loud Sounds' with tons of words listed under each. Or, you could create a table where you have two headings 'How It's Said' and 'Words to Substitute'. Write subheadings under the 'How It's Said' column such as, 'In a happy way', 'In a sad way', 'In a tired way', etc. then list different action words you'd use to show 'sad' or 'tired' beside the subheadings. 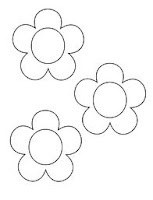 Jaimie's teacher got the kids to create a folder where they'd glue their Word Flowers onto as well as keep their other tables I suggested above. This is the place they'd keep their journals and other writing booklets so they had easy access to their writing tools when they struggled with writing assignments. These strategies helped Jaimie's writing so much. And on top of that, it also helped her learn to expand her way of thinking and looking at how to complete an assignment. Today, she's doing so well on her own that she doesn't even need to use her writing tools as often, which is awesome because I've claimed her folder! Who says we can't learn from kids? Feel free to share your own writing tools and strategies. Branch out beyond the usual Thesaurus or Dictionary and get those writing juices bubbling. A friend introduced me to Smashwords, and with his help I recently published my first e-book, Remodeling: Buying and Updating a Foreclosure. My friend, SF author and poet, Vincent Miskell, also designed the cover. Having a cover is essential for e-books, and I was wondering what to do until he volunteered to help me. E-books need covers. Good covers. Attention-grabbing covers! My first cover was simple (he used my house photo), but for my second e-book, Hidebound, a "reprint" of one of my SF novellas, I experimented a lot, using Hornil StylePix for a photo editor. I had help from my computer guru with that, plus my experimenting and learning. Btw, I got my cover photo for Hidebound by searching public domain photos; it's from NASA. Some people recommend opting out of Kindle on Smashwords and submitting to Kindle directly so I did that. The ms submissions are easier for Kindle because it only has one format. As I said, Smashwords mss have to fit a variety of readers. (Check out that list!) I did have trouble submitting my cover to Kindle this time (but not last time), but I finally figured out what I was doing wrong. And my friend who introduced me to Smashwords answered a lot of my questions when I ran into problems. Now I'm taking a break and working on other things, but I have some e-books I do want to publish on Smashwords later. Are you an author who has a book signing at a nearby city? Or are you the head of a conference committee wondering how to contact writers to let them know about your event? Do you want to use Twitter, Facebook, and Linked In to meet new people and contact your old friends and get everyone at your event? You can do these things and more with social networking. Recently, in the social networking course I teach for WOW!, I had an author whose book was spotlighted by the Spertus Institute in Chicago with all sorts of activities planned around it. She lives in California and wondered how to use social networking to let her friends, family, and fans know about the events. But she also wanted to find new followers and new fans--especially ones in Chicago--to come to these events. So, what could she do? As you've probably heard before, you have to start networking well before your book comes out. Social networking makes this so much easier to do! So before you even have a book signing, blog tour, or conference speech, you should have reconnected with all your old classmates, college buddies, and old neighbors. You should also be friends with your family--who better to support you than them? Writers are generous people--if you tell them you are a fellow writer, they will most likely friend you, and now you are connected to a whole bunch of people who live all around the country AND who can hopefully attend your event. Besides building up your contacts, you should also direct your efforts toward people who live in the area where your event will be. For example, I told this author that she should do a search on the people section in Twitter for Chicago. This search pops up all sorts of Tweeters who live in Chicago--she can go through the list and find the ones that she thinks may be interested in attending her events. She should interact with them well BEFORE her event. On Facebook, you should look for pages of businesses, other writers, or writing groups that are in the city you are having your event and LIKE the page. Then interact with the members BEFORE promoting your event. I've heard authors say time and time again, "Hashtags are your friend." On Twitter, if you are looking for new people to connect with, use a hashtag. In my Chicago author example above, she can use #Chicago when she tweets about her events. She can also open up a search column for #Chicago to see what is being discussed and to join in. Once she is active with this hashtag, she will start to meet other people who use #Chicago, and some of these people might just be interested in her event. The number one rule with social networking and promoting yourself is that you just can't sell, sell, sell all the time. You have to give to your friends and followers, you have to be personable, and you have to provide useful information. Once you have their trust, then you can promote yourself and your event. These are just three simple ways to promote an event on the social networks. For more tips and ideas like these and how to use social networks to further your career, then consider taking Margo Dill's WOW! 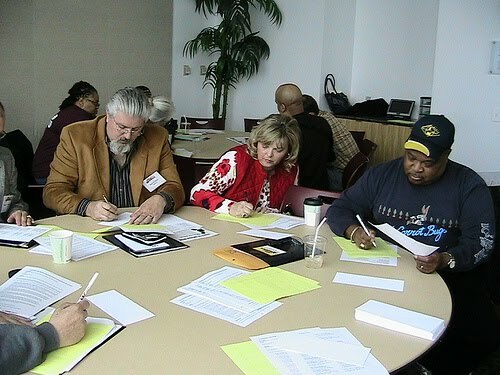 class, "Social Networking for Writers," starting on November 16. There's still plenty of time to sign up! Go here for more information. Have you been told it's a bit uncool to call yourself a feminist? Now you can prove them wrong! First Prize: £100 (or your country's equivalent), Publication with a link to your blog on Mookychick, 1 Year digital subscription to the fabled Bust magazine. 2 x Runner-Up Prizes: £25, Publication on Mookychick, 1 Year digital subscription to the fabled Bust magazine. 10 x Shortlisted Prizes: Publication on Mookychick. - You need to have an online presence you can post work on: a blog or website to call your own. A place where you can put words. - You need to create a haiku, poem, or flash fiction story under 200 words. Maximum word count per entry is 200 words. Your poetry or fiction needs to relate to an aspect of feminism. - E-mail competitions@mookychick.co.uk with your entry. Make the subject header FEMINIST FLASH 2011. In the body of the e-mail, please include two things: the URL of your entry and your name. - You can enter as many times as you like. Just make a new post for each entry (be sure to include the link underneath) and e-mail them with the entry's details. If you haven't checked out the site yet, it's super cute, a bit snarky, and always fun and informative! Mookychick (http://www.mookychick.co.uk/) is a weekly online magazine for alternative women that features alternative style, beauty, health, relationship and career advice, music and general alternative culture. They're into social activism and come up with how-to guides on everything from casting a spell to making a fruit bowl out of a record. Plus, they wrote an amazing review of WOW! here. PS. Remember, WOW! 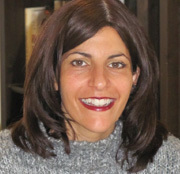 's Fall Flash Fiction Contest, with guest judge literary agent Andrea Hurst, also closes on November 30, 2011. We hope you enter both! Good luck! Congratulations to Victoria Wright, runner-up in the Spring 2011 Flash Fiction contest with her winning story, "Sunday in the Dark with Dad." Victoria lives in the Berkshires in Massachusetts, where she is a full-time freelance editor and occasional writer. She enjoys writing flash fiction because it requires the discipline she asks her clients to develop—choose words with care, tighten sentences, and make every idea count. She concedes that it is easier to preach this discipline than to practice it. 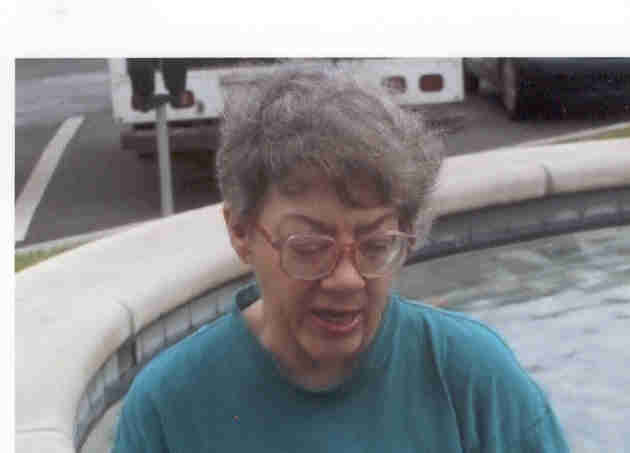 Several of Victoria’s short, humorous essays were first published in The Women’s Times, and she had an essay included in Midlife Clarity: Epiphanies from Grown-Up Girls, published by Beyond Words Publishing. She is compiling a book of her stories, essays, and a few humorous haiku, which she will self-publish as an e-book. For more information, find Victoria on Facebook, on LinkedIn, and of course, her website, Bookmark Services. Victoria’s son and daughter, both in college, are excited about their mom’s success in this contest, as are the rest of her family and friends—among whom she includes many of her editing clients. WOW: Welcome to The Muffin, Victoria and congratulations in placing in the flash fiction contest. Where did you get the idea for "Sunday in the Dark with Dad"? Victoria: I took a memory from my youth and massaged it, mixed it with imagination, and compressed it into a vignette. WOW: What themes are you exploring in your flash fiction piece? Victoria: It seems to me that the immediate theme is unhappy relationships, but I also explored the relationship between art and life. Life is rarely as interesting as art, because it happens haphazardly and with no opportunity to edit it. But to tell you the truth, I generally don’t set out to explore themes. If I’m lucky, they’re visible in retrospect. I look for moments, or the intersection of moments. It’s like finding the perfect photographic shot—even if you are looking for it, getting it is a crapshoot. WOW: So true! Why do you think writers should enter contests like this one? Why do you? Victoria: For fame and glory, of course! I enter contests and submit pieces to magazines in part to build my career and in part for validation. I generally know when a piece works. In fact, when I used to attend writers' groups, I always would ask that people stick to telling me what did not work for them—what was corny or awkward or false. I’ve always been pretty confident that I know what’s good; but when I’m not sure, that’s when I want the input. WOW: That makes perfect sense! Your bio says you plan to self-publish an e-book of your work. What will the topic of the book be? Victoria: I’m collecting a bunch of my writing—some of it has been published, some not—and packaging it in a very inexpensive digital form. If there’s a theme at all, it’s what I think about pretty much everything. Life, love, politics, people. My essays tend to be humorous, but my short stories are more like the one that placed in your contest—desperately depressing. I don't know why that is. Who said that life is a tragedy to those who feel and a comedy to these who think? I guess I feel when I write fiction and think when I write humor. WOW: Why are you deciding to do an e-book? They are so popular right now--our entire issue was dedicated to them. Victoria: I am happy to see that you’ve devoted an issue to them since I provide conversion services to authors; but it’s not that they’re popular right now, it’s that they are here to stay. It makes sense. E-readers are the new iPods. Why not carry all of your books with you? Why not publish a book digitally? There’s very little upfront cost; and even more to the point, readers can buy terrific inexpensive books that publishers, who are afraid to buy anything unproven anymore, have overlooked. Digital publishing—both e-books and hard copy—has opened the market to writers who might otherwise have never had a chance. There are success stories that are fabulous. However—and I cannot stress this enough—in order for a book to be taken seriously, it is imperative that a writer hire an editor, even if only for copyediting or a good proofreading. Far too many independently published books look like—you’ll pardon me—crap. It makes it more difficult for the rest of us to be taken seriously; because like or not, we are judged by appearances, and to elect not to fix errors is counterproductive on every level. WOW: You make some great points. Sometimes, it is so hard to see your own mistakes. Tell us a little about your company, Bookmark Services. Victoria: Bookmark Services is, as I say in my ad on your site, a full-service editing company. I and my merry band of experts provide assistance ranging from coaching, transcription, developmental editing, and ghost-writing to book proposals, interior layout and cover art, e-book conversion, and to a growing extent, social media marketing consulting. Also, and this is partly in my self-interest (because I get a lot of manuscripts that are in need of combing out), I help writers learn to use Word effectively, instead of fighting with it. In other words, I help them with Word and words. WOW: I like that. . .Word and words! Anything else you'd like to share about your writing? Victoria: Ah, my writing. I freely admit that it is far easier to edit someone else’s writing than it is to pour my own soul out onto the page. I write when, and because, I have something to say. Sometimes I start pieces that take years to complete. I put them away until I can’t ignore the sound of their voices anymore. My three pieces of advice are these: never throw anything away (that’s easy on a computer, just start a folder) because you may wish later that you could remember that brilliant sentence/story; keep working, daily, if possible, because practice and discipline are good for you; and never ask a friend or family member to edit your work because their job is to make you happy, which is not the same as making your work better. Hire a pro. WOW: Thank you, Victoria, for all your words of wisdom and for sharing a little about your editing and writing with us today! Sight is overrated. As writers we often have a "movie" playing in our head of what our novel looks like. So we simply describe it: what the people, places and things look like. Although that does great when we're swiftly moving through a first draft, if we simply leave it at that we're cheating our readers and cheating ourselves. Because we can do better. We all learned in our earliest school days that there are five senses: sight, hearing, taste, smell, and touch. Too often as writers we rely, almost solely, on sight in our writing. It's time to delve into the other senses. They offer ways to tell readers more without resorting to descriptive cliches. According to scientists, we attach an emotion to each scent we identify. As writers we can use "negative" and "positive" scents to reinforce the mood we're trying to create in a scene. A musty dank smell teased Betty awake in the still dark room. The fresh smell of sweet peas teased Betty awake in the still dark room. Betty's waking up in two very different rooms, isn't she? And all because of an odor. What our characters see is often controlled by another character, but we can sneak in information they weren't meant to learn with hearing. Information perfect for someone tracking down a murderer or a foreshadowing of a future event. As they sipped coffee from fine china in the sitting room, George heard muffled shouts coming from below. As they sipped coffee from fine china in the sitting room, George could hear the sweet murmur of a lullaby just outside the French doors. Each sound creates a different question for George. Who is shouting and why? Who in the family has the baby no one has mentioned? The sense of touch often gives the reader information they could have just as easily gotten from sight, but isn't it nice to have a bit of variety in how we discover information? Although his navy suit mirrored the uniform of every one else at the firm, he offered a brown calloused hand for Edward to shake. Although his navy suit mirrored the uniform of every one else at the firm, when Edward shook his hand it felt like a used Brillo pad in his hand, scratching at his palm. Using touch can turn a blah, predictable description into something more memorable. Taste is a bit tougher to incorporate into your descriptive bag of tricks. How often can your sense of taste tell you something that your eyes can't? But the different tastes: sweet, sour, salty, bitter can be used to reinforce the mood of a scene. As the room fell silent after her last remark, Susan sipped from her glass enjoying the sweet refreshment of the fruity punch. As the room fell silent after her last remark, Susan sipped from her glass grimacing at the burn of the whiskey as it tumbled down her throat. Did Susan enjoy the snarky remark that silenced the crowd or does she wish it had been left unsaid? Taste can give us a subtle hint. Next time you're editing a draft use different colored highlighters to determine how much you use each sense. Chances are you're neglecting several and turning to that old favorite: sight. It's time to close your eyes and explore the world using your other senses. Often it helps to literally close your eyes. How can we introduce hearing, smell, touch and taste to our readers if we aren't fully aware of them ourselves? Try sitting in your favorite spot for five minutes with your eyes closed. What do you hear, smell, touch, and taste that you never even noticed when your eyes were running the show? Use the five minute trick when visiting places that make an appearance in your writing. Although if your character commutes to work everyday on the freeway, bring along a designated driver! Friends don't let friends get in touch with their underutilized senses and drive at the same time! Try it with the Pagoda photo. Can you describe it using senses other than sight? 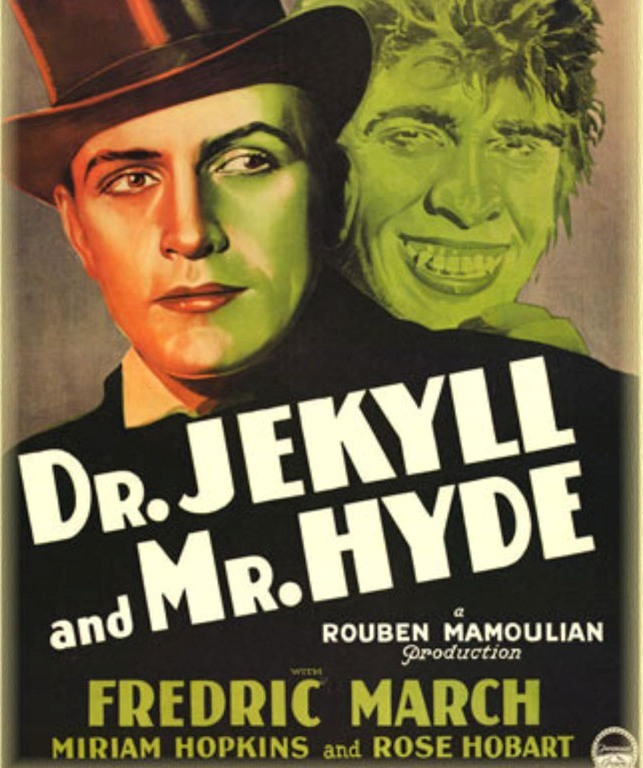 In 1885 Robert Louis Stevenson wrote “The Strange Case of Dr. Jekyll and Mr. Hyde.” We all know the story of the gentleman doctor’s struggle with the creature lurking within him. Some say the story is a study on the duality of human nature; others say it is merely reflective of the constraints of the Victorian era. Either way, it is a story somewhat relatable to all; for who among us has not felt the need to hide our Hyde? In real life our Hydes are not purposely coaxed out with chemical concoctions, instead they silently, steadily grow stronger each time we try to hide them. The little irritations, the setbacks, the struggles which comprise our daily lives slowly feed the monster. We beat the monster back, place him in shackles, and tell ourselves to be nice. Don’t lose your cool. It’s just a minor glitch. Things will get better. It doesn’t really matter. Then one day our Hyde breaks free wreaking havoc with loved ones or causing illness. With all this positive talk, why does the Hyde grow stronger? Because Hyde needs a hug. 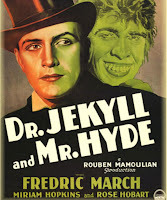 Being a balanced individual does not mean always feeling good, that’s the mistake ol’ Jekyll made--he judged his frustrations, reactions, and desires as bad therefore his two “selves” were in conflict. But it’s our “bad” feelings that tell us so much about who we are. They give us a tool to gauge when a situation isn’t right or the areas where we need to grow. If we are truly seeking balance we must embrace both our Jekyll and our Hyde—they each have a tale to tell. What raises your Hyde? Do you have an anecdote? Maybe it’s having your child’s school declare a snow day when you’re facing an important deadline. Or when your mother-in-law announces (for the third time) at a family dinner that you don’t really work and shouldn’t you go find a job? How do you find balance under stress? As a kid, I thought jugglers had an extra pair of invisible hands. That had to be how they could keep so many things in the air without dropping something or knocking themselves senseless. The only juggling I did then was tossing two ping pong balls in one hand. Oddly, Ringling Brothers never called, and my circus career was over before the age of 12. Which is why it’s strange that I’ve grown up to be a professional juggler. I don’t use flaming clubs, and have only thrown a bowling ball straight up in the air once (it was an accident…really). My trick? I’m a juggler of words. I average about 60 hours of writing a week with four balls in my juggling act: a full-time day job in advertising and public relations, a part-time radio job that includes copywriting, a personal blog about writing and radio, and at night and on weekends, I write fiction. Regroup and recharge. If the subject of your writing is different from day to night, your brain has to make the transition between the changing styles. At the end of the work day, take a mental break and focus on other things for an hour or two. That allows your mind to downshift from the day’s writing projects and gear up for the night shift. Stake your territory. If you write in a traditional work setting like an office, you probably have little control over distractions (visitors, phone calls, emails). When you have the opportunity to be the queen of the castle, wherever you’re working, don’t be afraid to rule. Tell others you don’t want to be disturbed, close the door, turn off the cell phone. Make the writing your priority, whether it’s for an employer or for yourself. Do your chores. Spending a large part of your time writing can be tiring, and there will be times when you won’t feel like doing it. Even if you’re aren’t actively writing, you can still be productive. Doing research, conducting interviews, outlining your story, brainstorming your characters - they’re all important parts of the writing process. Every juggler misses a catch or takes the occasional hit. The secret to getting better at anything is to simply keep at it. The first tosses might be shaky but once you find your rhythm and focus, sliding from one daily writing job to another will be as easy as a one-handed, double ball toss. And as entertaining, too. Welcome to the writing circus, friends! ), a blog she co-authors with a fellow writer. Then think about what tools you use to do that "something." 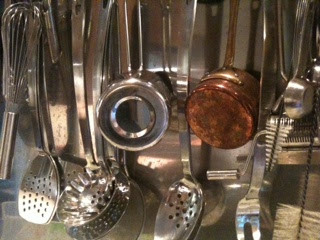 Some of our shiny kitchen tools. In my kitchen, thanks to a husband who knows how to cook, I have many cooking tools at my disposal. (see photo) Anyone for a mandoline? Or ramekins? These tools provide an entryway for me to prepare a range of foods: quick cold lunches to deluxe hot dinners, complex Asian meals to simple hamburgers. I look around my kitchen and I know I can conquer just about any recipe thrown my way. So, now, let's turn our focus back to writing. 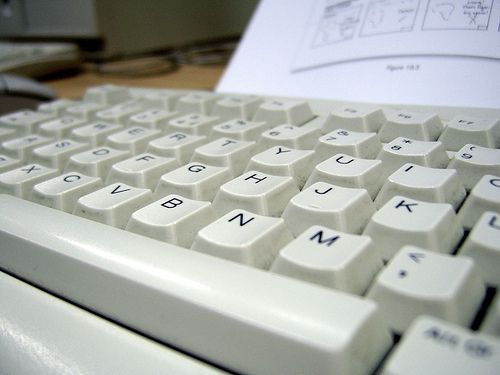 When I consider my writing, I often think of it as just my computer (and all that extends from it) and me. But in reality, my writing tools surround me wherever I am. I find comfort and support in them to continue my writing. A piece of paper and a pen. You never know when an idea will strike, so be prepared and carry something around to write on, should the muse visit. I have dozens of old notebooks that I will dip into to re-discover ideas and may work now (even if they didn't work then). I feel under dressed without a notebook and pen. Bookcases and the hundreds of writing books and magazines they contain. Most writers I know surround themselves with either great books to read or great books and magazines on writing. Many utilize both. Family and friends. Just like the greatest chefs collaborate with the cooks in their kitchen, many writers find the community of friends and family to be a great asset. Just last week, I was at a writers meeting and one writer was discussing a story that another writer helped her re-focus--what a great asset friends, family and other writers can be. Music and noise. While I'm an instrumental/wordless music fan when I write, I find myself mining the lyrics of songs (when I'm driving) and searching for a nugget of a story in the songwriters words. Noises that surround me sometimes become the entryway for a story. Those are some of my writing "tools" that I rely on regularly to cook up my stories or articles. With them, no matter what I want to cook up and write, my tools help focus me and provide me the support I need to get things written...and on the page. Any recipe that is thrown at me, I find a way in using my tools. What are your favorite tools? How do they help you? 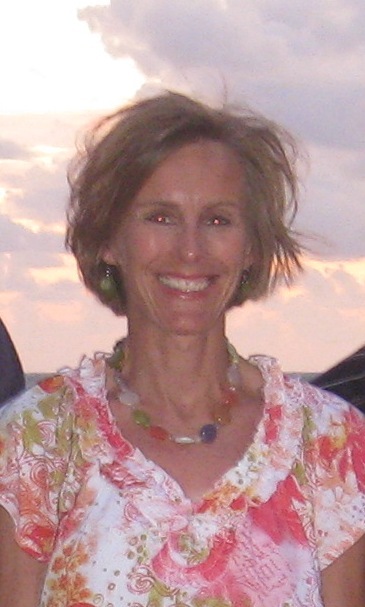 Elizabeth King Humphrey is a writer and editor living in coastal North Carolina. She loves to blog, but these days seems to only find time for tweets--follow her at @Eliz_Humphrey. "I want to make a paradigm shift in time for that offline chat," says Ilene. Writers need to be weary of overusing diction (paradigm shift, offline) and onomatopoeia (sizzle, pow)—or any other literary device. Diction, in the sense of word choice, is an excellent literary technique to master because few stories have no dialogue at all, which means just about every writer must consider word choice for her characters. What’s wrong with the above example? The writer is trying to write a modern story, so she’s using modern diction presumably to reinforce time, location and character development. But she’s gone too far. We are lost and probably feeling as though we are reading an advertisement. There’s a good chance the reader is not going to read on. What is the solution to this problem? Recognize that overdoing modern diction and onomatopoeia means your writing is buzzing with buzz words—a big no-no. A good rule of thumb is no more than three buzz words per line and, even in that case, the dialogue must really suite your character. Mastering literary devices aside, some writers simply don’t notice buzz words. Certain buzz words become everyday words and, in turn, part of our everyday writing. The primary purpose of employing literary devices as a group—not individually—is to reinforce your theme and, thereby, deepen your writing. Overusing those same devices often has the opposite effect: shallow, superfluous and ineffective writing. So by all means, explore literary devices and go way beyond the two I have used as examples here, but don’t go so far that your writing buzzes into oblivion. Talking down to your readers, inadvertently or not, is a surefire way to lose them. Don’t go so loopy with literary devices that readers perceive you as pompous. Originally from Ottawa, an excerpt from Gila Green’s new novel “King of the Class” is short-listed for the Summer Literary Seminars Award (2011). Her stories have appeared in tens of literary magazines in the U.S.A., Canada, Australia, Israel, and Hong Kong. 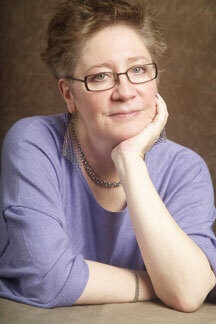 Her short story collection, White Zion, is a finalist for the Doris Bakwin Award (Carolina Wren Press, 2008). Her stories have been short listed for WordSmitten's TenTen Fiction Contest (2008); The Walrus Literary Award (2006/7); the Eric Hoffer Best New Writing Award (2008) and the Ha'aretz Short Fiction Award (Tel Aviv, 2006). 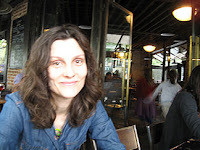 Gila has an MA in Creative Writing from Bar Ilan University (Israel) and a Bachelor of Journalism degree from Carleton University (Ottawa, Canada). Sign up for Gila's online WOW! Women on Writing course: LITERARY DEVICES, by Gila Green (8 weeks, starting 11/14/2011) Limit: 8-10 students. Early registration is recommended. Bio: Holly Bauer-Ping grew up in Berwick, Maine, and currently works as a lawyer in Chicago. She lives with her boyfriend and three beloved cats. This is her very first writing contest entry. 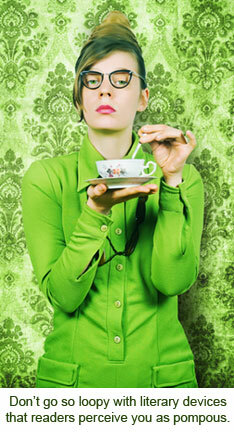 WOW: Congratulations on your second place win in our Spring 2011 Flash Fiction competition! What inspired you to enter the contest, especially since this is your very first contest entry? Holly: A friend had won a writing competition that I never would have thought of entering, and I wanted to see if I could do it too. I thought that having a deadline and other constraints, like a word limit, would be really motivating, and it was. I already had a rough draft of “Leave,” and when I came across the WOW! Flash Fiction competition, it seemed like a good fit. Holly: I spent time in Montreal a few years ago, and I was inspired by the subtle difference in culture. I thought Montreal would create a good backdrop for a character like Winnie, who carries a series of conflicted relationships around with her and wishes she could start over. Louise is an amalgam of several people I met there, who are refreshing to be around because they are so relaxed and joyful in life. WOW: I really liked the description of Louise in the story. Have you always enjoyed the genre, and how did you learn to write great flash fiction? Holly: I can’t say I’ve always enjoyed the genre; in fact, I didn’t know it existed until a few years ago when friends introduced me to it—they were printing flash fiction on postcards you could subscribe to. I like the genre for the same reasons I like poetry—it has to be precise and condensed. And honestly, I write so erratically that the short format works with my limitations. I wish I had the time and attention span to commit to writing a sprawling novel, and I still hold out hope I’ll have the courage to commit to a project like that one day. WOW: We’d love to know more about your writing routines. Does it involve cafes, like your character, Winnie? Any favorite tools or habits that get you going? Holly: Caffeine is definitely key! I have always kept a hand-written journal, but it's rare for me to write in public. And the habit comes and goes—sometimes I write almost daily for months, and then months pass when I don’t write at all. Sometimes I’ll think of a phrase I want to use for a story, or a character’s name, and I’ll write it down on the back of receipts or post-it notes, which end up in weird random places in my apartment. But on those occasions when I actually sit down to write something that has a middle, beginning, and end, I use a computer. WOW: Sounds like you've found a way to make it work in your busy life. So, what's new? What projects are you working on now? Holly: I drafted two short stories this year that I had thought of writing for ages, but I’m not sure how I feel about them—so I’m still tinkering. There’s a longer project I’ve wanted to write for even more ages, but to say I’m “working on” it would really be an exaggeration. But I still hold out hope for the surge of courage it would take to put it all together. WOW: Thanks so much for chatting with us today, Holly! Before you go, do you have any tips for our readers who may be thinking about entering writing contests? Holly: Each person has to discover what will inspire and motivate her, and seek those things out--they will be different for everyone. But once you have something that feels like a story to you, follow the rules, and revise a ton! And enjoy the process. Our Fall 2011 Flash Fiction contest is open! For more information, visit: http://www.wow-womenonwriting.com/contest.php. A semi-weird conversation I had with a non-writing, former classmate the other day led me to believe that many people in the world still find blogging to be unique or unusual. It went something like this. He said, "So, I thought I'd spend time blogging." "Cool," I said. "I love blogging." "I know," he said. "That's why I said it. I'm not really going to blog. But you should blog about ________ and ________ and ______. I mean, you have your blog. You blog!" I wasn't really sure what he was getting at. And then because we were in a big group of people, he was pulled away from the conversation, and we never really got back to it. I kept thinking about his comments, and then I realized a couple of things. 2. Other (regular, normal) people think blogging is a big deal. They think it is important to blog and that we really have something interesting to say. I have people tell me all the time, "I love your blog. I read it to find children's books. I love the activities you provide. How do you find the time?" and so on. But when I hear people say these things, I still think blogging is no big deal. It's like I don't believe them. Blogging is just something I do because I think it's important,and I have something to share with parents, teachers, and librarians. I want to meet other people in the children's book world, and blogging is a great way to do this. I blog for WOW! because I have information to share with writers, and I love being a part of this community. 3. So, in conclusion, I decided I should think blogging is more of a big deal than I do. I should be more proud of the fact that I have kept a blog going for over three years now and that I have made money from it. I have authors and publishers contacting me to review books, and I have regular readers who really use my suggestions at home and in their classrooms. I should not be so amazed when people comment on my blogging posts for The Muffin or when they retweet my link. Blogs are amazing, and bloggers are hardworking writers--and I am one of them! Thinking about this conversation with my former classmate also made me contemplate how as writers and bloggers, we get so caught up in our own worlds--our busy lives, our rejections, our struggles with plot or wondering what to post. We should stop and take a breath every once in a while and look at ourselves from the outside. Look at our accomplishments, and look at what we are producing for the world to read. People are reading it. People do take notice--even if they don't leave comments on your blog. So, I'm saying--if you blog, be proud. Keep it up, and tell people, "I am a blogger." You might just be amazed at how AMAZED they are! If you want to start a blog or if you have one and want to work on it (the focus, monetizing, driving readers to it), my blogging online workshop is starting up again on Friday, 10/21. It's $125 for 5 weeks. To view the syllabus, read comments from other students, or to sign up, please visit the WOW! classroom here. 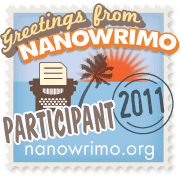 So...how many writers out there have signed up for NaNoWriMo? I have. This will be my fourth year participating in this frantic month-long commitment to my writing craft. Many folks don't 'get' why we do this to ourselves. I mean, it's completely voluntary. You won't win any big prizes or cash. You don't win a publishing or agent contract. All you end up with is a completed, unedited, 50,000-word story. I think that's pretty awesome! Because, guess what? After you've edited that manuscript, you have a book-in-waiting that will help you win over that publisher or agent. It's not an easy road, though. (1) Don't just think about it, DO IT! Make the decision to do it, sign up then pat yourself on the back. 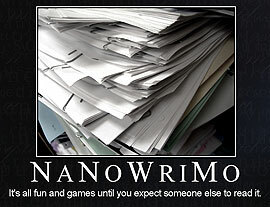 Yes, this is the easiest part about NaNoWriMo but so many don't even make that initial step. (2) Surround yourself with NaNo Buddies. The one mistake I made the first year was thinking I could do it all by myself. Wrong. It so helps to have a few writing buddies going right alongside you. You can all cheer each other on, pull one another up when one is feeling low or give a much-needed pep talk. (3) Have the support at home. If you're a 'Writing Mama' like me, it can be difficult to find the time when you have little ones afoot who need you. Tell your partner what you're trying to do and employ him or her to entertain the troop while you're typing away. That support is so important and it's awesome having a cheer squad on the homefront. (4) Have a plan. I can't stress enough the importance of having some sort of plot plan and character sketches for each of your characters. Of course everything could change as you go along but having that initial plan really helps get you started. (6) Find what motivates you and lean on that. What motivates me are my kiddos. Seriously. If my Jaimie and little man Xander can find the strength to get out of bed each morning and face what what the 'sensational' world has in store for each of them, I can darn well write 1668 words! Find what motivates you the most and draw strength from that. (7) Give yourself little rewards. As you complete each chunk of your soon-to-be bestseller, reward yourself in little ways. Go to a movie, treat yourself to a little bevvie (unless you're having a few while you're writing), have a long, luxurious bubble bath. Whatever works for you. (8) Keep your sights on the prize. Okay, so you won't win anything monetary. You will, as I mentioned, have a completed manuscript when you've finished. So many writers or authors-in-waiting start a novel but very few finish it. When you reach those lazy or frustrating moments, remind yourself of that. (9) Plan a celebration party. It doesn't have to be anything big. Just a few big hugs by your support group and popping open a bottle of your favorite beverage of choice. Give yourself an ending celebration to look forward to. (10) Join a local NaNoWriMo support group. There are many state, city and international groups listed in the NaNo site. Join on so you can get support from local writers doing what you're doing. Believe me, it really helps. OKAY! There you go. Those are some of the things I do around here during November. What do you do to prepare, stay motivated, forge ahead? How many of you out there have 'won'? How did you get there? PLEASE share!!! And guess what? Last year I 'won' NaNoWriMo for the first time and the manuscript I completed (Out Of Sync) will be released through Melange Press in March 2012. If I can do it...YOU can too! Watch this video: "A Magazine is an iPad That Does Not Work." The video has been receiving a lot of press over the last few days, and judging by the comments and number of hits it's received, it's also generating a lot of controversy. Is print dead? Do publications need to adapt to a world that will eventually be full of digital natives? What does this premise mean for book authors and publishers? What's your opinion: Is print going to be obsolete or is the video a bunch of hype? Two or three times a year, I sort and organize the contents of my deep freeze; once a year, I defrost it. Many of the contents are unrecognizable due to ice crystals or the white of freezer burn, and I throw much of it away. But I usually find something that’s worth keeping, and sometimes, a treasure or two: a container of chili that’ll feed two -- perfect for a meal when only half the family is home. A package of sweet corn or a frozen fruit cup that brings a taste of summer to a cold, winter night. A chicken casserole that simply needs to be reheated. A roast I’d forgotten I’d purchased. I do similar exercises with the contents of my writing files. Some of the writing I find is truly awful and I send it to the trash bin, but some—rejected from a first round of publications--meet the guidelines of a new publication I’ve recently encountered. Like the casserole or container of chili, these pieces simply need to be defrosted and reheated. I’m re-energized by these discoveries, but the ones that bring the biggest smile to my face are the pieces I’d forgotten about, the ideas I’d begun to develop but never completed. Most are journal entries, and they’re begging to be thrown into the crock pot. I had no particular plans for the notes I started scribbling notes into spiral notebooks 12 years ago. I was a stay-at-home mom with young children, and to be honest, didn’t have time to develop them into full-fledged pieces. I just knew I needed to capture the moment. Some entries filled a page; others, only a few lines. A few entries were written in response to a writing prompt but most are simply notes about the particular day’s triumph or disaster; a parenting-related news story or controversy; or the questions and funny comments my children made. Now, as one of Literary Mama’s blog editors, I’m expanding these random thoughts into short essays for readers who understand and can appreciate them. My “For Your Journal” writing prompts connect a parenting issue with a personal experience and encourage readers to keep a journal about their own parenting experiences. Even though my children are now in high school and college, I continue to make notes in a journal. I’m not sure when, or if, I’ll develop them into longer pieces but I know I’ll be glad I’ve captured the moments. So, I encourage you to pour a cup of tea, settle yourself into a comfy chair, and defrost the contents of your writing deep freeze. You might be surprised at what’s already simmering in the crock pot. Don’t have a spiral notebook? Get one. Now. Jot down the funny things your friends and family say, the experiences that make you proud, the conflicts that make you angry. Write about the family pet, a favorite board game from your childhood, the first time you tried to teach your child how to cook, the role religion plays in your life, the childhood events that influenced your present-day relationship with a sibling. And who knows? Maybe you’ll discover a character for your next short story or a theme for a narrative essay. Or maybe you’ll use the idea to create a special holiday card or photo album for someone in your family . . . Or maybe the memories will simply be captured, to be defrosted months—or years---down the road. Karna Converse is a freelance writer who's written everything from technical documentation and price proposals to newsletter articles, devotionals, personal profiles and essays. Her For Your Journal blog posts encourage readers to journal about their family and parenting experiences. You can reach her at Literary Mama or here. Congratulations to J.C. Nierad who commented on Patricia Caviglia’s post during our Everybody’s Talking About...Wicked Good People mass blogging day. 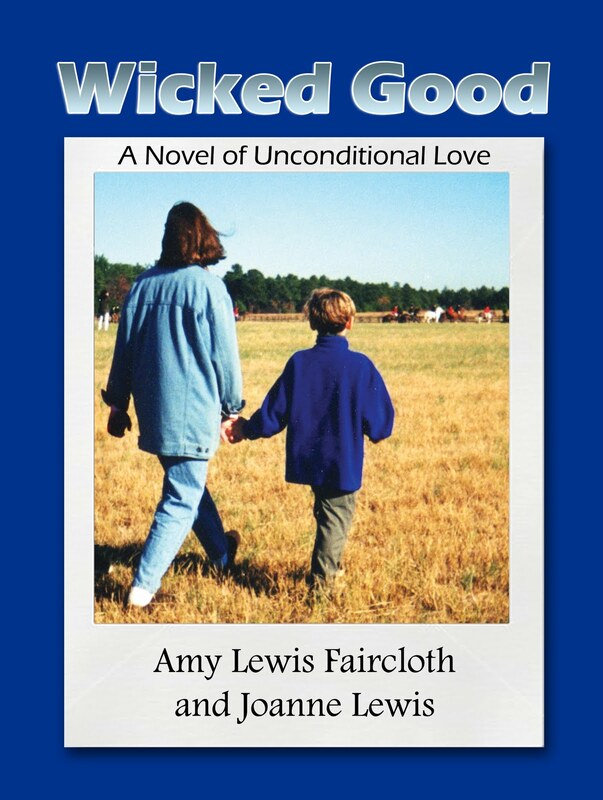 J.C. has won an autographed copy of Wicked Good by Joanne Lewis and Amy Lewis Faircloth! Joanne and Amy will also be sending a copy of Wicked Good to one of our Wicked Good People bloggers. The winner is Linda M. Rhinehart Neas who wrote about those people who make life precious on her blog Words from the Heart. Thank you to everyone who participated in our Everybody’s Talking event; we hope next time it is your turn to win! Speaking of next time...there is one last wicked good contest to enter. Why don’t you try your hand at writing a “Roryism”? The winner will receive a $100 pre-paid credit card and their "Roryism" will be published in the next book in the Wicked series. Click here for details. Winners were chosen by using Random [dot] org. ＭＡＲＺＡ™ (CEO: Koichi Fukazawa), the new film production arm of Sega Sammy group, and 100 Meter Films (CEO: John Williams) are pleased to announce the 2nd MARZA “Story Circus” competition. The Marza Story Circus Competition is a global search for original high-concept stories, to be developed into animated feature films for family audiences. The company's vision is to produce: "Delightful stories for children all over the world!" The stories must have fascinating characters, strong emotional resonance, universal themes and be conceptually surprising. Prize: 1,000,000 Yen cash prize (with current conversion rates that's a little over $13,000 US dollars). 1. A synopsis of a complete story for a Marza animated feature film. The synopsis should be no more than 1,000 Words. Incomplete stories will not be considered. - A LOGLINE of the film in less than 100 words. Submissions must be in English or Japanese and submitted via e-mail. Doing the talk show circuit. It's how famous people spend their time when they're plugging a book, movie, perfume, just about anything. They glitter (both their smiles and their clothes), they laugh, kiss, dance, tell funny stories, answer questions...except for Harrison. Harrison Ford is not an interviewer's friend. I think I can safely say that he has never glittered, kissed an interviewer, or danced across a room. His smiles are fleeting; laughter as rare and brief as an eclipse. But worst of all, he prefers a one-word answer. Maybe he's shy, dignified, forgetful, or uncomfortable talking about himself. Whatever the reason, he's an interviewer's nightmare! Chances are I'll never interview Harrison Ford (but Mr. Ford, if you're reading this I would LOVE to) but I have interviewed a few Harrison Ford imitators. May you never know the frustration of trying to piece together an article out of one-word answers and a refusal for any follow-up questions! Because if my experience I'd like to share my Harrison Ford Rules. Read/watch old interviews. Do they show a pattern of taciturn, lifeless answers and extensive descriptions of what they're wearing (how else can a writer make a word count)? One or two bad interviews is just a bad day or bad interviewer, a series of them is bad news. If a middleman (agent, boss, friend) suggests the interview AND insists on contacting the subject to set it up, be wary. They may be keeping you away from the subject so they have time to talk them into it. Do they set restrictive rules? I can only give you 15 minutes. I don't answer follow-up questions. I will only answer pre-approved questions. Are they difficult to contact or take an extremely long time to get back to you? Maybe they aren't that enthusiastic about the interview. Imagine that same pattern if you have to contact them after the interview for additional information with a deadline looming. Do they come right out and say, "I hate interviews" or "I'm only doing this as a favor to..."? It might be time to come up with a Plan B--just in case the interview bombs. On paper, their credentials may make them the perfect subject for your article. But if you can't get four interesting words out of them it won't matter how many degrees, experiences, or awards they have. When you have a choice, select talkative over taciturn every time! 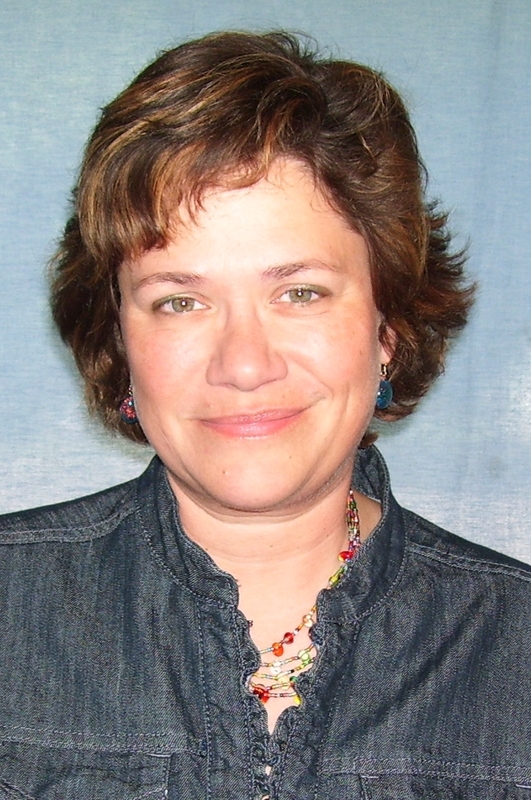 Jodi Webb has interviewed Army colonels, motorcyclists, teachers, contractors, authors, artists, knitters, and more in her two decades of writing. Surprisingly, the motorcyclists were the most polite and enthusiastic! Enjoy more of her musings at Words by Webb and contact her at jodi@wow-womenonwriting.com to learn more about the WOW Blog Tours she organizes. Jodi is also an instructor for WOW! Her class Breaking Into Magazine Writing With Regional Markets starts January 10, 2012.